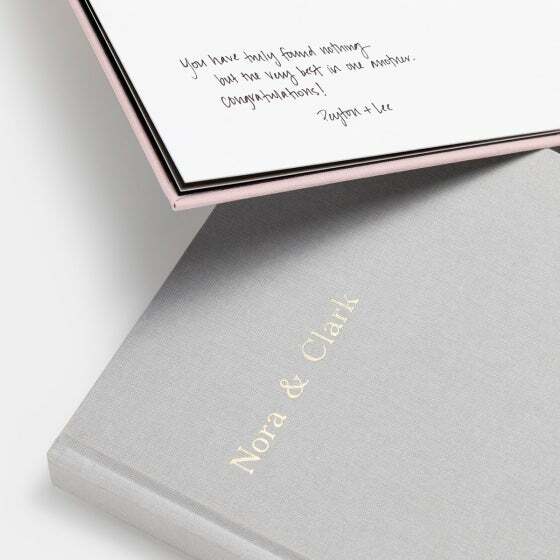 Book size and type cannot be changed once project is started. 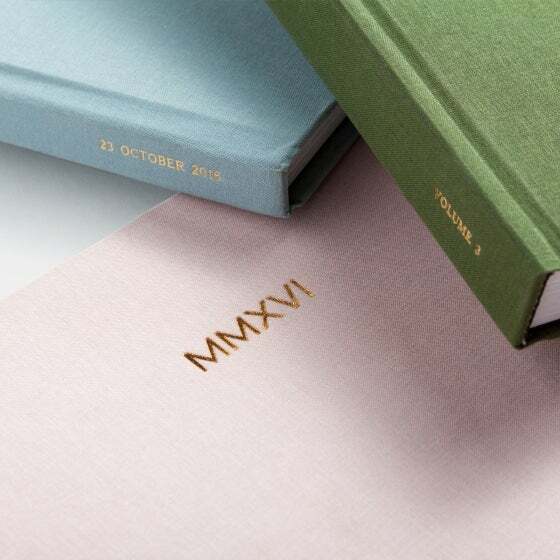 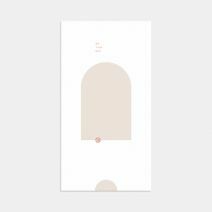 Stamping is available on the cover & spine in gold, copper, white or black foil. 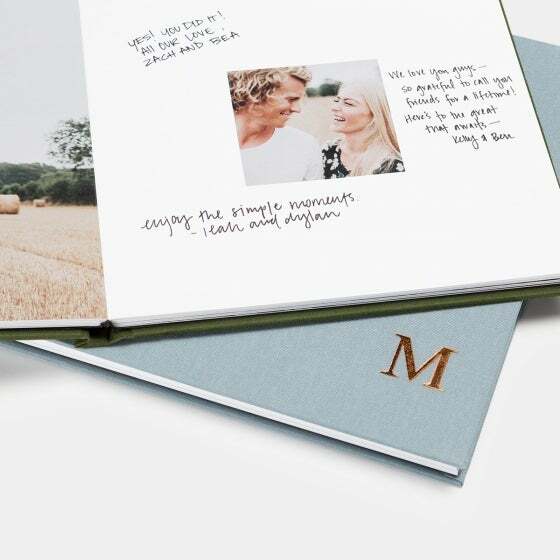 Choose the positioning of your foil stamping within the editor. 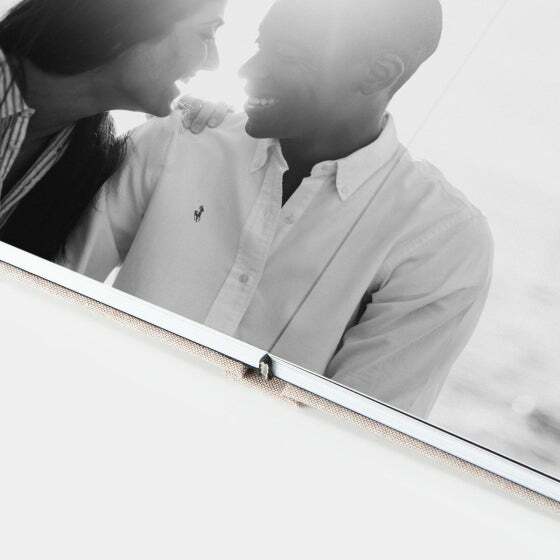 Our best for your best. 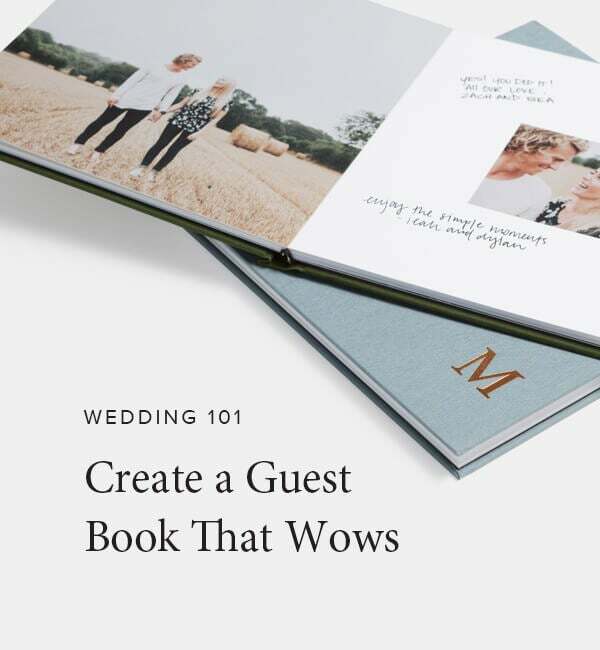 The Wedding Guest Book allows for the display of your favorite photos along with space for handwritten notes. 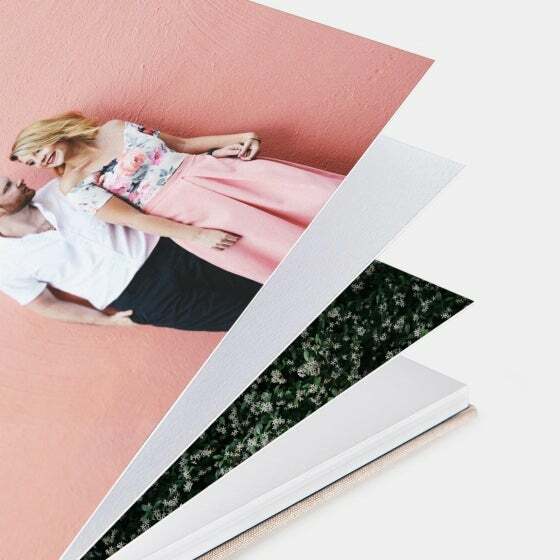 Get started by uploading your favorite photos and let your guests fill in the rest. 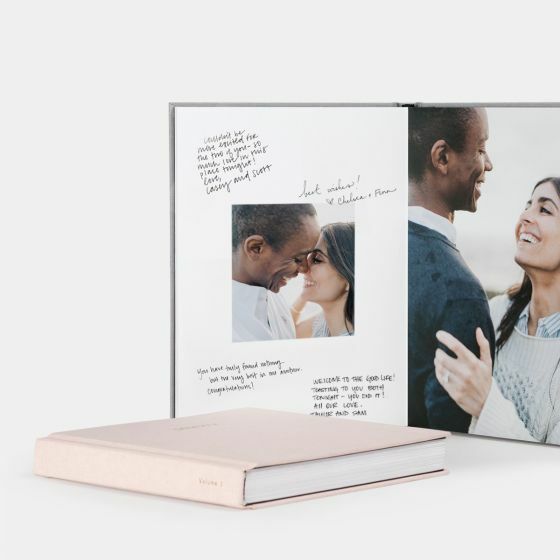 Made to highlight your favorite photos together, our Wedding Guest Book is a personalized way for you to remember your best day and the guests that celebrated with you. 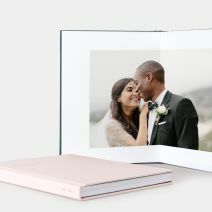 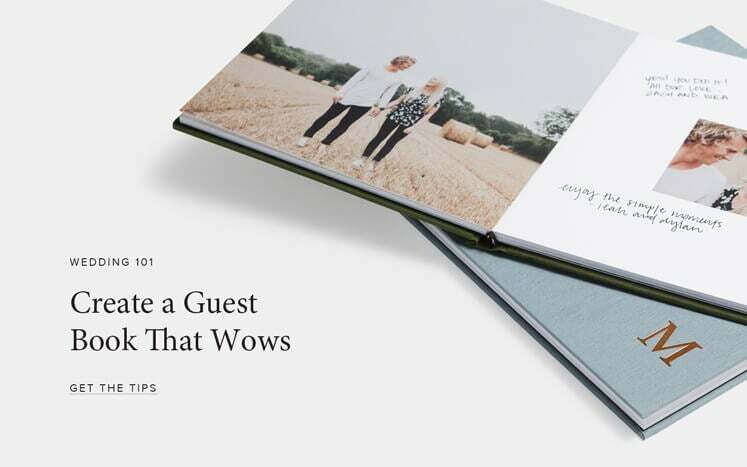 Bound by the same heirloom quality materials as our bestselling Layflat Album, this wedding guest book features fabric binding with custom foil stamping, seamless panoramic spreads that lay flat, and premium photo printing on ultra-thick pages. 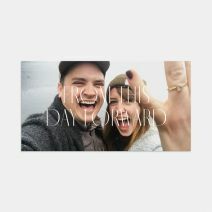 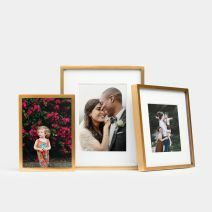 Display your engagement photos in signature-friendly layouts, alongside the well wishes of your friends and family.